Savannah’s Fifth Success or First Duster? Savannah Petroleum has moved the GW 215 Rig to drill the fifth well in its exploration campaign in the Niger Republic. Zomo-1, spudded on September 8, follows Bushiya-1, Amdigh-1 Kunama-1 and Eridal-1, all drilled by the British explorer between March and August 2018, and all of which encountered crude oil bearing zones, considered by Savannah to be of commercial size. But none of the wells have been tested, so there is no clear handle on flow assurance. As with others, Zomo-1 is located in the R3/R4 PSC Area in the Agadem Basin, south east of the republic of Niger. It is also, as with the rest, designed to evaluate potential oil pay in the Eocene Sokor Alternances as the primary target. The well is planned to be drilled to a total depth of 2,438metres Drilling is expected to take between 30 and 35 days. The Company plans to log all prospective sections within the well, with further logging employed for hydrocarbon bearing sections. “In the success case, the well will be suspended for future re-entry and further evaluation, which could include well testing”, the company says. Members of East Africa’s Upstream sector, in Uganda, Tanzania and Kenya, have been central to the development of a new online training platform delivering an affordable and accessible alternative to exclusive oil and gas training. Norwell EDGE, an e-learning tool, was launched by Aberdeen based Norwell Engineering, Thursday 22nd March 2018. It aims to make access to world-class upstream training affordable and open to everyone – regardless of where in the world they are- “and offering a real alternative to the expensive and exclusive training that is currently available”, the company claims in a press statement. 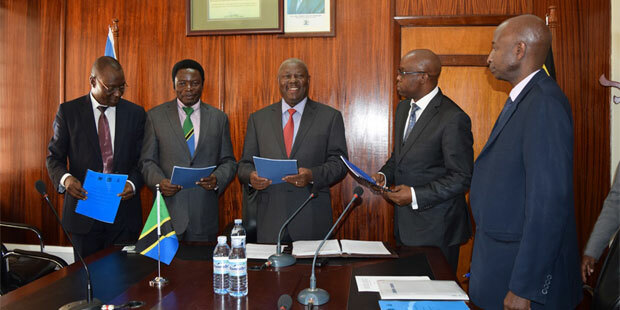 “The cutting-edge platform has recently gone through a rigourous 6-week testing phase which involved more than 200 oil and gas professionals and students from East Africa providing feedback”, Norwell declares. “They were part of a global community of testers that included more than 1,100 volunteers from 45 countries. As a thank you they were granted exclusive access before the site went live today”. “As a Petroleum Engineer myself, with near 30 years’ experience across the globe, I am exasperated by the disparity in the level of training available to oil & gas professionals, especially in under-developed countries where both local training and travel opportunities are limited. The release explains that EDGE has taken five years to develop and will offer 50 in-depth upstream awareness training modules, with a comprehensive exam and, a second advanced course for specialist personnel. “Frustrated by a lack of concerted effort by the oil and gas industry to tackle skills and competency gaps, Norwell decided to invest $500,000 to create its own solution and make training as widely available as possible”, the press statement adds. The statement quotes the tool’s co-founder Mike Adams, who recently met with EDGE beta testers in Nigeria, as saying: “We have seen first-hand the challenges operators & NOCs around the globe are facing through a lack of competent and well trained workforces. In the current situation there are a lot of specialists, all of whom have completed their own specialist courses and health and safety training but very few understand what the other is doing – that can have dangerous consequences as we saw with Deepwater Horizon. Norwell EDGE enables individuals to learn in their own country at their own pace and build a training history that follows them throughout their career. Subscription is contract-free, so users can dip in and out of training as it suits them. For companies, it makes wide-scale training feasible and enables them to audit contractors’ training histories. For national oil companies, it also provides a way of affordably upskilling large numbers of national personnel. The content which includes modules ranging from Well Planning to Well Integrity Management has been developed by Norwell’s in-house senior engineering team along with partners including Axis Well Technology. Tangiers Petroleum expects a lot from its proposed well intheTarfayaBlock offshore Morocco. The company saysthat 3D seismic data confirmed a potential 750 million barrels of recoverable oil. The well will not be drilled until mid 2014. Tangiers reported that it has finished processing the seismic data, which confirmed the Trident prospects and secondary objectives at Assaka and TMA. “These hold ‘best estimate’ prospective resources of 750 million barrels of recoverable oil with a geological chance of success of 23 percent’, Tangiers says. Under a farm-out agreement between Tangiers and Portuguese major GalpEnergia in December 2012, Tangiers will retain a 25-percent interest in the Tarfaya offshore block (with Galp holding 50 percent and the Moroccan government 25 percent). The $41 million Galp is spending on the transaction includes a reimbursement of $7.5 million to Tangiers for costs already incurred, while Galp will also fund an exploration well to target Trident along with Assaka and TMA. The well is expected to be drilled before mid-2014. Scottish independent Petroceltichas plugged and abandoned its Mesaha-1 exploration well, but got successful in South Damas 2 development probe. Both wells are in Egypt. Mesaha 1 was abandoned after the firm failed to find hydrocarbon indicators in the hole. The company says that the well has provided significant new data on the Mesaha basin statigraphy, which will be incorporated in a review of the regional geology prior to the planning of any future work on the block. Mesaha-1, drilled to a total depth of 2,129metreswas finalized at a cost of $10.3 million(gross) Petroceltic holds a 40-percent working interest in the concession. Petroceltic says that South Damas-2 development well, in the Nile Delta, has been successfully drilled to 1,432metres and completed using the Tanmia-1 rig and is expected to begin production in late February. The well is expected to increase the total South Damas field production rate to more than 20 million cubic feet of gas per day(from 12 million cf/d). LONGREACH has completed its 2D seismic programme on the operated Sidi Moktar Licence, onshore Morocco, on time and in budget, it claims. 520 km of high quality seismic data were acquired in 47 lines over the portfolio of prospects and leads in fulfilment of the Licence commitment of 500km, Longreach claims in a release. Priority lines, over Longreach’s drill-ready targets, Koba and Kamar, have been processed by Key Seismic in Calgary using the processing sequence and parameters determined by Longreach during the extensive reprocessing project completed in 2012. The priority lines are being incorporated into the Company’s interpretation to finalise the well locations for the 2013 drilling programme. In addition, the survey was designed to high-grade and promote existing leads to prospect status, the company says. The survey was conducted by Prospectiuni in compliance with the approved Environmental Impact Assessment to the highest international HSE standards”, Longreach claims. Italian giant Eni will be producing about 2,000 Barrels of Oil Per Day(BOPD), in each of two development wells to be drilled on a new field it just discovered. Eni and its partners encountered a total oil pay of about 80 meters in multiple sandstone reservoirs on the Rosa North prospect, at the depth of over 2,200 meters. But the result of the well tests apparently has shown that technical allowable for any development cannot be more than 2,000BOPD. Rosa North is the third discovery made on the concession over the last three years and follows Arcadia (2010) and EmryDeep (2012) fields. The concession still holds significant resource potential which is confirmed by the growing production, exploration drilling results as well as recently acquired 3D-seismic data and the new geological model derived from it. Project partners are ENI through its subsidiary IEOC (56%), LUKOIL Overseas (24%) and Mitsui (20%). LUKOIL joined the project in 1995. More than 8.4 million barrels of oil were produced on Meleiha in 2012. 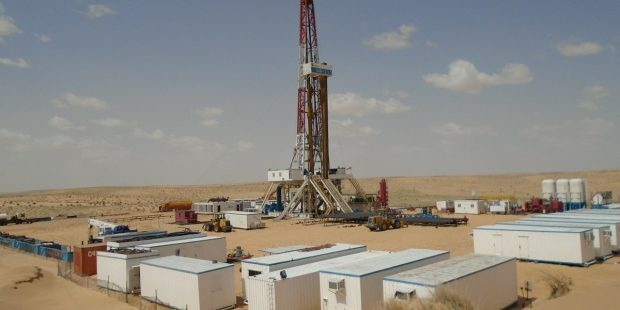 Vegas Oil and Gas is drilling an appraisal to the Al Ola-1 discovery/producer in Egypt’s North West Gemsa Concession. Al Ola-3 is also an injector well, targeting the Kareem sands, located to the south of Al Ola-1 and Al Ola-2 wells. The rig was mobilised to the site, following the successful completion of the AASE-12X ST1 well, which is in the south central part of the AASE field, in the same acreage. Vegas operates the NW Gemsa concession with 50% and its partners include Circle Oil(40%) and Sea Dragon (10%). Gross production from the AASE, Geyad and Al Ola fields is approximately 9,300BOPD(gross). German independent, E.ON E&P has successfully completed the drilling and testing of the 7th exploration well in block 405a and found oil and gas in the NEY-1 well. The Rhourde Yacoub license is located in the eastern Algerian Sahara, around 250 kilometres south-east of Hassi Messaoud. “We are very pleased with another successful discovery of oil and gas in Algeria. The results of this well are very encouraging and we will now enter a phase where we will drill several wells over the next two years to evaluate the extension of the discoveries,” says Hubert Mainitz, Managing Director of E.ON E&P Algeria. The Rhourde Yacoub license is operated by E.ON E&P with an equity share of 49%. Sonatrach holds the majority of 51%. The Rhourde Yacoub license is located in the oil and gas-prone Berkine basin and E.ONE&P was awarded this block in a license round in December 2008. Since then the company has drilled seven exploration wells and made several encouraging discoveries in the license area. Australian operator Cooper Energy has secured a drilling rig for its Hammamet West-3well on the Bargou exploration permit, offshore Tunisia. The Bargou joint venture, with Cooper as operator signed a letter of intent with Romanian Grup Servicii Petroliere (GSP) for the use of the jackup rig “GSP Jupiter” to drill thewell which is scheduled to spud in December 2012. HammametWest-3 is being drilled to further assess the oil resource within the Abiod formation. Cooper intends to drill the well to penetrate the reservoir with a slightly deviated pilot hole. A highly deviated wellbore will then be drilled and tested, to confirmthe oil productivity of the formation. Exxoil was preparing to spud Bou Argoub-1 (BAB-1) in the SouthWest Belli area of the Grombalia Permit in Tunisia, as of the time of our going to press in mid August 2012. The prospect is near the Belli, El Manzah and Beni Khaled fields. Exxoil’s programme says ” the drilling of this well will commenceearly in the second half of 2012″. and the Late Cretaceous Abiod Formation. These are the main oil-producing formations in the north eastern part of Tunisia. The Grombalia Permit covers an area of 1,078 square miles (2,792 square kilometers). The partners include Exxoil Tunisie Ltd (65% working interest and operator) and Circle (35%working interest).